Does the rainbow nation still exist? Conversations about diversity, race and democracy. The first leg of the Us and Them: Diversity, Division and a World of Difference lecture series kicked off at Constitution Hill last Wednesday, April 12. 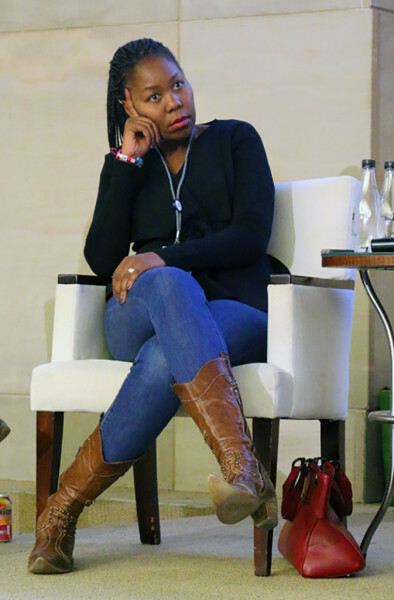 Writer Sisonke Msimang, the keynote speaker, reflected on the definition of diversity, race and democracy within a South African context and the idea of the rainbow nation. Msimang engaged with Paul Kennedy, a Canadian radio broadcaster, and one of the organisers of the event which is set to take place in major cities across the globe including Berlin and Mumbai. Msimang says she believes “the language of the rainbow has passed its sell by date”. She added that diversity is beyond just black and white, and that as a country, South Africans need to build trust and solidarity. But, Msimang added, South Africa is a country in denial of its diversity and this can be seen through the issues of xenophobia and race. The lectures, sponsored by the Laurier Institute, will be available online via the Canadian Broadcasting Corportation (CBC) show Ideas with Paul Kennedy.